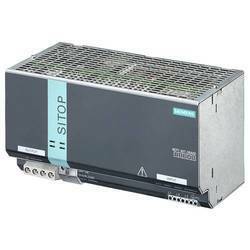 Leading Manufacturer of siemens dc power supply, sitop modular, sitop compact power supply and logo power supply from Dadra. We offer to our valuable clients Sitop Smart.This has compact dimensions, a strong performance, and a favourable price and it has an outstanding overload withstand capability. So much so even large loads can be switched on without any problems. We are leading supplier of Sitop Modular. This allows a connection to almost any electrical power system worldwide and ensures a high degree of safety even if there are large voltage fluctuations. We present wide range of Sitop Compact. 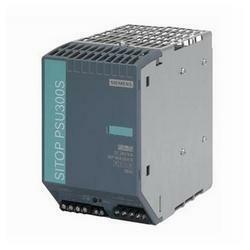 The power supplies are characterized by their low power loss over the entire load range. Power loss is extremely low even during no-load operation, which is why they are ideal, for example, for the efficient supply of machinery and equipment that are often in stand-by mode. We offer to our valuable clients Logo Power. The new miniature power supply units offer great performance in the smallest space. The high efficiency over the complete load range and the low power loss during idle time guarantee efficient operation. The wide input voltage range now also allows the connection of DC voltage, the switch-on response has been optimized for capacitive loads, and the operating. 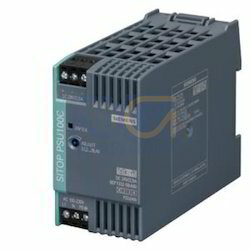 Looking for Power Supply Sitop ?